According to an article in the Orlando Sentinel, Seminole County has implemented new dog ownership laws in the form of an ordinance as of September 25, 2018. While the county has not yet released the final version of the ordinance, it is clear from the draft version that it will change the way dogs who are deemed as “aggressive” will be handled in Seminole County. These changes will impact everyone from dog owners to those who have been the unfortunate victims of dog attacks. The ordinance is the Seminole County Board of Commissioners’ response to an incident that occurred last November when a woman was walking her Yorkie near her Casselberry home. The Yorkie was attacked and killed by two large dogs who had left their yard. The two large dogs reportedly had a history of aggressive behavior and were later euthanized. The ordinance is also known as “Reese’s Law” in memory of the Yorkie who was killed in the attack. As county officials stated at the time, the dogs’ prior aggressive behavior had, unfortunately, been too minor for them to do anything about under the then-current laws. Florida has long enacted legislation intended to protect its citizens from dangerous dogs, including its law which has special requirements for dogs who have been labeled as “dangerous”. 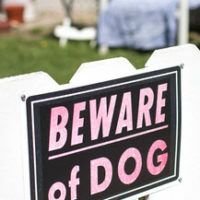 However, that statute provides that a dog cannot be labeled as “dangerous” until the dog has actually 1) bitten, attacked, endangered or seriously injured a person on private or personal property, 2) killed or severely injured other domestic animals at least twice while off the owner’s property or 3) chased or approached a person in a menacing way, while unprovoked. That statute therefore applies primarily to attacks on people and requires a relatively severe action by the misbehaving dog. The new ordinance is intended to lessen the gap left under existing law. It will target dogs that do not exhibit behavior that is severe enough to be considered “dangerous” under Florida law but who clearly still present a threat to other animals and people. What is an “Aggressive” Dog and What Does that Mean for the Owner? Animal control officers will be able to label as “aggressive” any dog that chases or causes an unprovoked minor injury to another dog or person. Owners of dogs that have been labeled as “aggressive” will reportedly be required to obtain an “aggressive dog certificate” that will need to be renewed annually. “Aggressive dogs” will not be allowed in any public park or dog-friendly business within the county. Dog owners should pay attention to this new ordinance as a violation of it carries substantial fines that will range from $50 for the first violation to a mandatory court appearance and a $200 fine for three or more violations within a three-year period. If you or a loved one has been injured by someone else’s domesticated animal, we can help. The Orlando personal injury attorneys at The Pendas Law Firm are experienced in helping people like you recover the compensation that you deserve. Contact us today to schedule a free consultation. The Pendas Law Firm also represents clients in the Fort Lauderdale, Miami, Fort Myers, Tampa, Jacksonville, Daytona and Bradenton areas.